The Ghana Bar Association (GBA) has charged the General Legal Council (GLC) to immediately investigate the allegations of malpractices in the 2018 entrance examinations to the Ghana School of Law. Some LLB holders seeking admission to the Ghana School of Law are upset over an alleged leakage of their exams after the supposed questions together with answers and marking scheme were seen on social media hours before the exams. The students say the development suggests that some of their colleagues had access to the exams papers before they started writing the paper. The spokesperson for the irate law students Yaa Opoku told Francis Abban on the Morning Starr Monday that the Independent Examination Body (IEB) of the General Legal Council must be dissolved over the issue. “We are very angry, extremely angry. As students, we are on various platforms and questions kept flying onto the platforms. We got to the exam hall and the questions dropped just as was shown to us. It was shocking. “The questions just didn’t drop, they dropped with answers and marking schemes. Our major concern is with the IEB. over the years, they have proven to be incompetent and for that matter, the Board should be dissolved,” she lamented. Meanwhile, the Concerned LLB Holders are demanding for the establishment of a Commission of Inquiry to probe the circumstances leading to the leakage. This, according to them would help restore the credibility of legal education in the country. “It will be our expectation that together with our earlier petitions on legal education reforms in general, the necessary intervention will be made by the legislature,” Nii Addo Kwei Cudjoe spokesperson for the group stated at a news conference Tuesday after petitioning the Chief Justice Sophia Akuffo and Speaker of Parliament Prof. Mike Oquaye over the matter. The Ghana Bar Association (GBA) has taken note of media reports regarding the purported leakage of an examination question in connection with the 2018 entrance examinations to the Ghana School of Law. While the GBA is not in a position to verify or dispute the claims relating to the alleged leakage of the examination question, the Bar would deem it very unfortunate and disturbing if the allegations are proven. The Ghana Bar Association calls upon the Independent Examination Committee and the General Legal Council to thoroughly investigate the matter and state the position on the purported leakage. In the interim, the GBA would urge the examination candidates to exercise restraint and pursue their ambitions. We would also urge the said candidates and Ghanaians generally to be guarded in their comments regarding statutory bodies and institutions and in this particular instance the General Legal Council. Statutory institutions play important roles in the growth of our country and should not be denigrated. 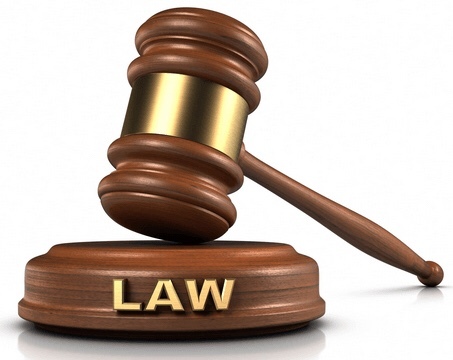 The Ghana Bar Association as a stakeholder will keenly follow the investigations and hereby wishes to emphasise that it would at all times be of assistance and avail itself in the pursuit and development of legal education in Ghana.